There’s an outdoors fever definitely sweeping the country right now. You can even see it in all of the commercials. So many of them…and not just the car commercials…are focused on being outdoors. I’m fairly outdoorsy, but still, I feel inadequate about my travels when I watch TV. The kayakers, the hikers, the climbers, the off-road risk-takers, all seem to be rubbing their adventures in my face! I shouldn’t be on the couch! I should be scaling mountains, kayaking with whales, or hang-gliding over gorges! I want to be where they are. I want to do what they are doing. So many people feel the same way, and so many want to start visiting our national parks. They’re not alone. In 2017, the National Park Service recorded nearly 331 million recreational visits! Though that’s down about 90,000 visits from the record-breaking 2016, that’s still an incredible number. 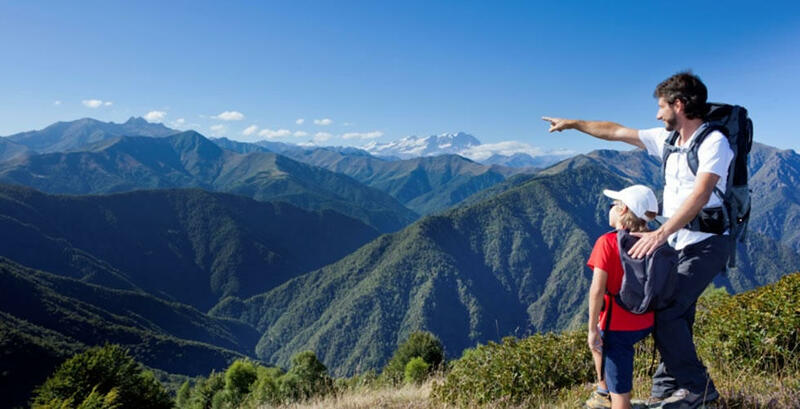 People want to get out and step foot in our beautiful country – visit the landmarks, gawk at the mesmerizing landscapes, and take in the inspiring history. 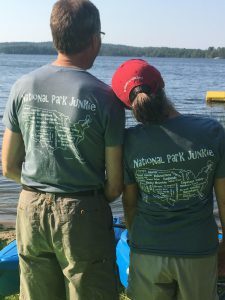 In 2017, the National Park Service recorded nearly 331 million recreational visits! Those commercials. Those numbers. So many places. To a first-timer, those can be intimidating. Relax. Deep breath. Getting started on your national park quests doesn’t have to be so overwhelming. It’s hard to get started, so many people just add the parks to their bucket lists. “Someday” they’ll get to cross them off. Don’t wait, though. You don’t want to gamble against time. Here are some tips to help you get started. Vacation time/Vacation Zones: First, pull out a map of the United States with the 60 national parks listed on them. Decide the time of year you want to travel and what part of the U.S. you want to see: Northwest, Southwest, Midwest/Plains, Northeast, Southeast. Picking the time of year and the area will help with weather concerns. You may or may not want to be in Zion, for instance, in July. You may or may not want to be in Glacier National Park in February. This will help limit your choices. Initial Research: Now that you have a time of year to travel and a zone selected, you’ll have to do a little research. If you selected the Northwest, for example, you’ll be looking at Mt. Rainier, Olympic, North Cascades, and Crater Lake. Conduct some initial research. Look at pictures. Google phrases such as “Mt. Rainier vs. Olympic National Park” just to see what other travelers have suggested. Of course, look at travel times and airline expenses. In this initial phase, narrow down your choices to two parks (see next step). Trust me, there is no wrong pick; you will fall in love with whichever park you choose! 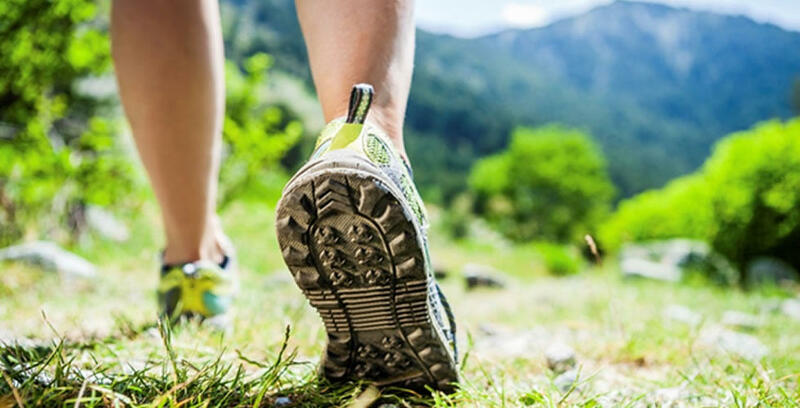 Have a Backup: As mentioned before, you may want to have a Plan A and a Plan B – choose two parks. This gives you some options to compare, and sometimes you can hit a snag in your planning. With another park in mind, you won’t feel like you’re starting completely over if you have to move to Plan B. One of those snags, by the way, could be lodging. For some parks, it’s necessary to secure lodging 6 months to 12 months out. Parks like Yosemite, Glacier, Olympic, Katmai, Zion, etc. were all parks I needed reservations far in advance. Most will allow you to cancel within 48 hours of arrival, so don’t worry about reserving the rooms. I’ve reserved lodging in different places, and once I knew for sure of my travels, I canceled the unnecessary rooms without penalty (check each property for cancellation policies). The Big Three: The big expenses, of course, are airfare, lodging, and car rental. Having two parks in mind helps to compare these expenses. Some of the parks are difficult to get to, and there are multiple airports to use. Use the National Park Service website to help with that. Each park has a “Plan Your Visit/Directions” tab, and they will tell you the nearby airports and their respective distances. The National Park Service website will usually link you to lodging options, as well. As for car rentals, once you pick an airport you can see what car rentals are available through that airport’s website. Since renting directly at the airport can be costly, consider taking an Uber or a Lyft to an off-site car rental place. That can save you quite a bit of money! Shhhh… that’s our little secret! Things to Do: The hard work is done now. You’ve got a national park selected, you’ve booked airfare, you’ve decided on lodging, and you’ve scored on that cheap car rental! You’ve booked this all months in advance, so now you have months to plan your itinerary. Take your time and use some of the following resources. The National Park Service site again is a great resource. They will tell you the must-visits. Also, I still love books for research, and Frommer’s knows the parks! I usually buy a book on the specific park because I love highlighting, but you can get them from the library, too. Use the internet, of course. 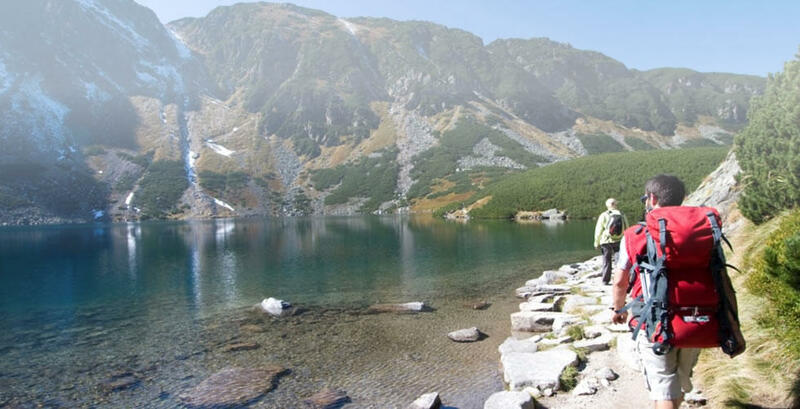 Categorize your notes: Hiking Trails, Attractions, Must-sees, Food, Shopping, etc. Also, keep track of driving distances and hiking distances. Keep everything in a folder that you can easily find and add to over the months of planning. 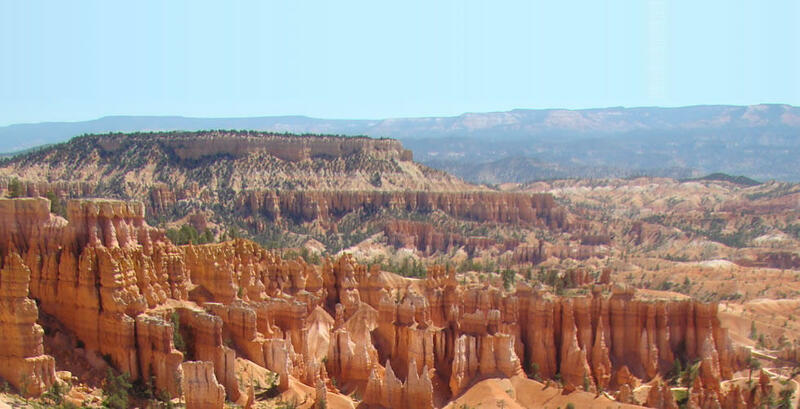 Use Instagram for photos – research the park name preceded by a hashtag (#BryceCanyon, #Acadia, etc.). When you see something you want to explore, make a note in your folder. Use Twitter the same way (#Everglades, etc. ), and also look for expert advice through chats, such as #ParkChat. There you’ll find park experts who know their stuff and are willing to share! Incidentals: Little by little, that big daunting task of planning a national park trip will come together! It’s a learning experience, and you’ll learn more with every park you visit. Here are just some other incidentals. Most parks do have entry fees, and you can find that info on the NPS site. If you plan to visit more than one park in a year, you may want to invest in an Annual Pass. If you’re a senior, you should get the Lifetime Pass, and if you have a fourth-grader in your house, you can get a free pass through the Every Kid in a Park program. When you get to the park, start with the Visitor Center and talk to the Park Rangers. They are so knowledgeable – use them (and thank them)! Consider buying a National Parks Passport at the Visitor Center. You can get a cancellation stamp for every park you visit, and trust me, you’ll be visiting more! 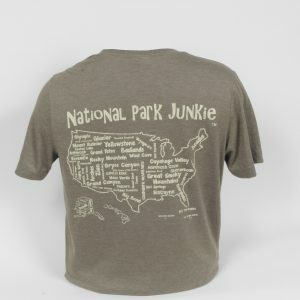 The last thing you’ll need, is of course, a National Park Junkie t-shirt from us! You’re on your way to becoming one, so you might as well get the shirt! You can get that from our website! 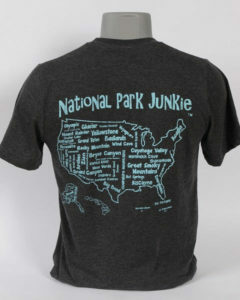 Join in on what nearly 331 million people did last year – visit a national park!